When it comes to healthy eating, even the most disciplined can lose focus during holiday travels. The goods news is that it’s not in your head; you honestly do feel a little more hungry when you’re hustling between terminals or bus stops. So, how do you keep this hunger in check so you don’t add on to the holiday weight gain? 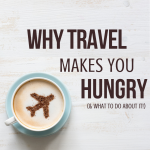 We’ll explore why travel makes you hungry and even give you a few ways to combat it below! The abrupt shift in your circadian rhythm may mean you aren’t getting enough sleep which can cause cortisol levels to rise and make you more likely to opt for sugary, salty, and fatty foods. The shift can also affect ghrelin + leptin, the hormones that increase + decrease appetite, so you may find that your hunger cues are hitting at abnormal times and for abnormal things! Try to eat meals at the proper meal times, especially if you’re in a new time zone. This consistency helps reset your internal clock since your body doesn’t know that dinnertime comes a few hours later in NYC than it does in Chicago. That being said, it’s still important to pay attention to your internal hunger cues! Sleep is an important factor, too, as that’s easily disrupted by a change in your normal schedule or time zone. When traveling, try shutting off all screens 30 minutes before your normal bedtime to help unwind. If you know you have trouble falling asleep away from home, add a capful of Isotonix® Magnesium or a dose of Turn Down to your daily health regimen! For short trips, stick as close to your regular eating and sleeping schedule as you can to avoid having to go through the process all over again when you get home. If your trip is a little longer (more than a few days) then plan to have a balanced, healthy snack that includes protein and fiber to tide you over until mealtime. 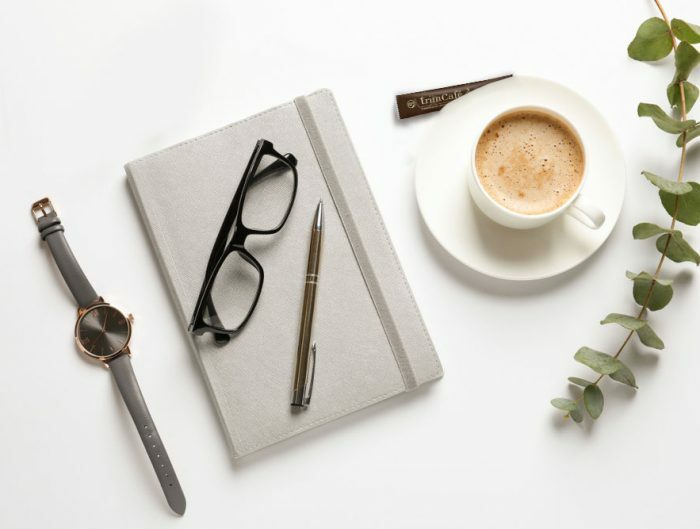 Road trips are hardly the time to overhydrate if you want to get where you’re doing without stopping at every gas station between here and there (especially for us coffee drinkers! ), so many of us end up dehydrated at the end of a long drive. For those that are flying, we aren’t much better off as the cabin’s humidity can drop as low as 10%! The lack of hydration can deplete the water our bodies so desperately need, and cause us to experience thirst signals that are often confused for hunger. You may want to leave your water bottle behind at home or let the drink cart pass you by – don’t! Take advantage of the free H20 and fill your water bottle at every opportunity, especially if you’re flying! Refill before boarding the plane or loading back into the car, and make sure you’re regularly sipping while you travel. It’ll help ward off confusing thirst signals and give your immune system a boost, too! 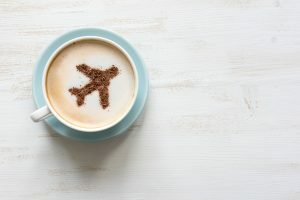 Research has shown those who were exposed to a variety of foods consumed 22% more calories, and there are temptations everywhere on the road or at the airport! Just think of the billboards, convenience store snacks, hotel room service menus, airline terminal goodies, and fast food options. From the scent of fresh-baked Starbucks Pumpkin Rolls wafting to your gate to arrays of candy at the rest stop, you could consume hundreds of excess calories before you even get where you’re going! Oh, and the stress of traveling, especially with little ones in tow? Sorry, but that’s definitely not helping. To keep temptation at bay, you’ve got a few options. Keep Blood Sugar Levels Steady: To avoid the blood sugar spikes + drops, don’t let yourself go too long between meals and plan your meals in advance. Think about the 24 hours around your flight or drive, and pass on ultra-indulgent sweets that will leave you feeling more drained than ever. Instead, opt for nutritious snacks such as fruit, nuts and or a TLS® Choice Bar! Pack Your Supplements: Before you leave, make 100% sure you’ve packed all of the TLS® supplements you need to be successful on your travels. 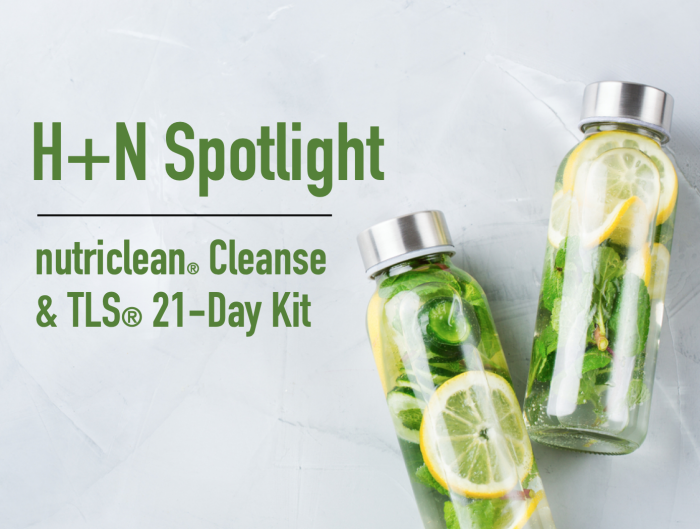 TLS® Trim Tea + Trim Cafe are both perfect for on-the-go support when cravings hit or helping improve satiety during a party, and your TLS® Shakes are a great go-to when leftover pecan pie is calling your name from the fridge! * Whichever supplements you’re reaching for this holiday season, make sure you have them on you when you need them most.